Jason Sonstein graduated from The George Washington University in 1999 with a degree in Criminal Justice. Thereafter, he earned his Juris Doctorate from Rutgers University School of Law in 2002. For the first ten years, Jason owned his own law practice focused on helping clients with asset protection, estate planning and real estate matters. In 2011, Jason began working with Amy to grow Sonstein Financial Group. 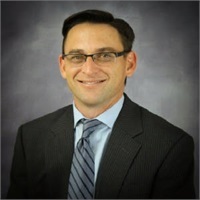 In 2012, Jason formally joined the organization as The Director of Recruiting and Development and currently concentrates on hiring and training new professionals.